Based in an open salon, we can deliver you the most effective ExpressLED light treatment, at an accessible price. Our Signature ExpressLED facials are £35 / 20 minutes. Bespoke your treatment with customised add-ons according to your individual skin’s concerns, time and budget. Your regular must-have for promoting and maintaining optimal skin health. Each session features a thorough cleanse, yellow and near-infrared light plus a stimulating face massage that ensures your skin is left radiant and lit from within. It refreshes, brightens, calms and clarifies the complexion. Suitable for all skin types, specific skin concerns can be targeted with a range of add-on treatments. Use weekly, fortnightly or monthly for skin that glows with a healthy radiance. Created for when you’re up against the clock and your skin is looking as stressed out as you feel. In just 15 minutes we give you a noticeably brighter and healthier complexion plus a calmer mood. With no need to remove your makeup, it’s perfect for when you need a glow- on-the-go. Use it to revive tired looking skin after a late night, reset and refresh in-between meetings or as the final step as part of your date night prep. A super effective treatment that works just as hard as you do. When your skin is misbehaving - we’re talking a sluggish dull complexion, hormonal breakouts, clogged pores, pigmentation or an uneven texture and tone - consider this your rescue remedy. Using advanced superficial exfoliation, each peel sloughs away dead cells revealing bright, renewed skin. To enhance results add a session of infrared LED light that stimulates the production of collagen, elastin and hyaluronic acid or blue light that kills bacteria. An antidote to problem skin. From hormonal to pollution congested skin conditions this treatment is designed to both clarify and soothe. A powerful dose of deep cleansing Blue light combined with an effective clay mask draws out impurities, encouraging detoxification, reducing inflammation and balancing skin. A peel can also be added to further refine pores and improve cell regeneration whilst a targeted spot treatment kills bacteria. Skin is left nourished and calmed, with a noticeably clearer complexion. Tailored to your individual skin concerns, this is the secret to camera-ready luminous skin. Featuring a super-charged enzyme treatment rich in fruit acids and peptides, an LED light session followed by a de-puffing massage, your skin will instantly look plumped and hydrated plus silky smooth. Creating a flawless canvas for make-up application, it’s perfect for pre-party prep or use regularly as part of your monthly maintenance programme to ensure you’re always ready for any last-minute invites. Addressing a variety of skin concerns including sun damage, pigmentation, fine lines and wrinkles plus acne scarring, this is a powerful results-driven treatment that aims to restore the skin to its optimum state. Tailored according to your individual skin concerns, advanced technology alongside a combination of acids and resurfacing treatments slough away dead skin cells, brightening and improving texture and tone. A bespoke treatment plan, think of it as an equivalent of boot camp for mild to moderate acne and scarring. Blue light targets the bacteria that causes breakouts whilst near-infrared reduces inflammation in the blemish and speeds up the healing process. Your individual programme will see you alternating between the lights on different days to ensure optimum results and encourage the skin cells to work harder. At the end of 4 weeks, you’ll enjoy a brighter complexion with a positive change in skin texture and tone. Plus, cell renewal activity and results continue to improve for up to 12 weeks post-treatment. Your regular must-have for promoting and maintaining optimal skin health. Each session features a through cleanse, yellow and near infrared light plus a stimulating face massage that ensures your skin is left radiant and lit from within. It corrects, calms and clarifies the complexion. Suitable for all skin types, specific skin concerns can be targeted with a range of add-on treatments. Use weekly, fortnightly or monthly for skin that glows with a healthy radiance. 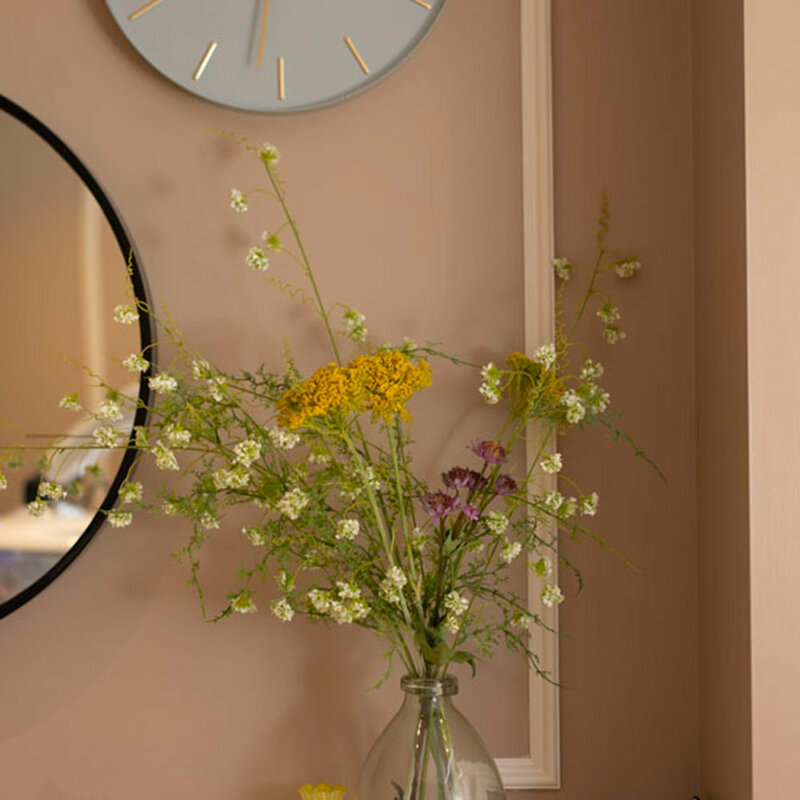 Our private therapy rooms are where we perform a range of longer length restorative treatments allowing you to completely switch-off and recharge. It’s also where we treat those areas that you might not want to flash to everyone including the chest, back and bottom. For full-body wellbeing, or if you have acne on your chest or back, psoriasis in delicate areas, or want to do away with sun damage we can target those areas. A nurturing treatment that will re-energise the body and mind allowing you to pause, repair and reset by cocooning the body under near-infrared LED light. This is the deepest penetrating wavelength helping to improve bone density, renew tissue and muscle plus those pesky hard to heal injuries. It can successfully treat vulnerable skin conditions such as eczema and psoriasis. For an absolute Head-To-Toe treatment combine with a signature light for the face. It’s a regime that gives you back what time and stress has taken away: hydration, firmness and a youthful glow evoking a sense of total wellbeing. Creating waves of gentle compression, the Body Ballancer takes lymphatic massage to the max. By boosting circulation it speeds up the elimination of toxins from the body reducing fluid retention, puffiness and cellulite. Use bi-weekly for optimum results. Those prepping for a big event or holiday can expect to lose visible inches. Gym bunnies will love the way it reduces lactic acid leading to a faster recovery whilst desk workers suffering from tight hips and hamstrings will find they feel less stiff and more supple. It’s also a fantastic way to combat jet lag. Combined with a Light Salon Signature facial, you’ll leave feeling lighter and brighter with a bounce in your step. A customised edit of all our favourite add-ons in one luxury facial, personalised to your own unique needs. This all-encompassing treatment restores, revitalises and relaxes the body and mind by using a combination of gentle exfoliation, youth-invoking masks and rejuvenating LED light. Our skin experts will draw on a variety of techniques to calm, clarify and nourish your complexion. Results are optimised with a re-sculpting and lifting massage to the face, head, neck and decolletage that releases tension and sculpts features. You’ll leave feeling and looking recharged exuding an elusive fresh-faced glow. A dynamic treatment that addresses a multitude of skin concerns on the face, body and scalp ranging from hyperpigmentation, sun damage, fine lines, enlarged pores, texture irregularities, rosacea, acne scarring, stretch marks and hair loss. We only use vertical medical needing, that penetrates straight into the dermis without scraping the top layer of the skin meaning you won’t leave bleeding or bruised. Instead, the body is stimulated to accelerate collagen renewal deep in the dermis resulting in repaired, refined and retexturize skin. To enhance results and reduce downtime, team it with an LED light session. In addition, you can also combine it with an infusion of topical growth factors (proteins naturally produced by the body that maintain skin cells and tissue but diminish with age) that will further improve cellular communication and the structure of the skin. With a faster recovery rate, treatments can be carried out more frequently meaning you’ll notice a visible change in your skin faster. Results are cumulative so we recommend a course of treatments for optimum results. Enjoy The Light Salon Signature facial with a Manicure or Pedicure.